Thank you all for reading along with us for this truly phenomenal season of "Justified." For the second time this year, I'm including an optional soundtrack. Play along or not as you choose. We are going to spend plenty of time on the male leads of this show. Trust me. But I'd like to start off by recognizing the rock solid performances from the two actresses who ended up being the beating heart of this finale. First, credit where credit's due to Natalie Zea for Winona's impressive role in the events last night. I've never been a fan of Winona, it's true, but I've also never found fault with Zea. Mostly with the characterization. But she brought it in spades last night. The contrast between Zea's beautiful tear-streaked face and her gritty (and classic Winona) stubbornness in when confronted with violent aggression was enthralling. I'm as glad as anyone that they didn't draw this conflict out over the entire episode (we were all pretty sure Yost wasn't going to kill a pregnant woman, right?) and that the real battle came with what Raylan chose to do after. Regardless, thumbs up to Zea and to the writers for making her cool. For once. And then, of course, we have the lovely Joelle Carter. Carter's been nothing short of fantastic for at least two seasons now and as the noose slowly tightened around Ava for the last few episodes, Carter has done a remarkable job showing the alloy of steel and vulnerability that make up this Crowder's spine. The writers promised this season they'd fully explore the ramifications of Ava's descent into the criminal underworld last year. And as Boyd's voice-over in the "Previously Ons" intoned, their world has a high cost of living. Let's all take a moment and appreciate this absolutely stunning shot of Carter set against a liquid black background, her fingers close to the gun behind the bar. She's hunted and desperate and serene all at once. Well done. What's going to happen next year to Ava? I've no clue. I think it would be a cheat to have her get out of jail in any easy way and though I'll be sorry to see her go, I think it would make the most sense to have her appear just about as much as Winona did this season. Boyd's on the dark(er) path now. That being said, I wouldn't say no to a Kentucky Prison Spin-Off show. You know you miss these two. What was up with the ghost of Cassie St. Cyr? Okay no she wasn't literally a ghost, but she didn't really belong there on the side of the road. Did she just happen to drive by? There was certainly no reason for her to be involved in that police action. What she did, however, was remind us all that as much as we may love Boyd he was absolutely guilty of murdering an innocent man earlier this season. Passively murder, but murder nonetheless. "Justified" steers clear of other-worldy nonsense, but in an episode called "Ghosts" with more than a few Shakespearean allusions, it's not out of line to think of Cassie more as a manifestation of Boyd's guilt than a random passerby. In fact: "Sammy and Nicky aren't very fond of each other. It's all very Shakespearean." It got super "Game Of Thrones"-y up in here with the battle for the Tonin throne. Sammy may not be the leader the Detroit Mafia needed, but he's certainly the one those sh*tbags deserve. Be careful what you wish for. The Bard is awfully fond of those cruel twists of fate and what a rough twist we have here with Boyd getting what he wanted (a fortune) and losing everything that mattered in the same day. Goggins plays the beat-down fortune's fool so perfectly here. The earlier shot of his ink-stained fingers showing the permanent legacy of his white-supremacy past is a reminder that try as he might, he can't wash it all clean. Are Raylans hands any cleaner? As Nicky Augustine says, Raylan's got his badge to hide behind. But just as Boyd tried and failed to cut loose of his father's shadow by class climbing this season, Raylan, ultimately, failed to escape Arlo's legacy of violence and moral ambiguity. This season was all about origins and our inability to escape them and even if it seems like Raylan got away clean, I think we all know that what he helped execute at the airport will continue to gnaw at him. P.S. How amazing was Mike O'Malley? Dark and menacing and fantastic. We all knew this episode would end badly for Boyd and Ava. Most of us have had Ava at the top of the Death Watch list ever since the proposal or well before. Is this worse? It might somehow be worse. It was certainly heart-wrenching. The beauty of this season is that even though everything played out exactly the way we expected it to, it didn't, for a minute, feel like lazy or predictable writing. It all felt like fate. And doom. 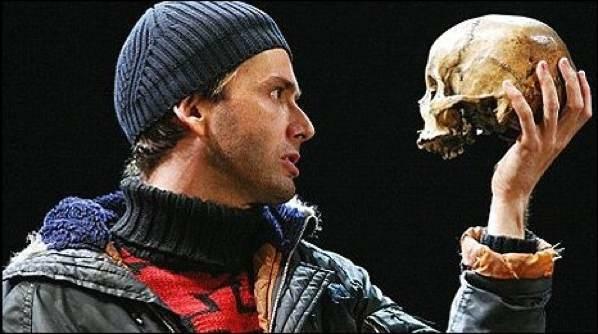 And even though you know that the last act of Hamlet will end with almost everyone bloodied, that doesn't make the story any less compelling. And did I mention sad? Jaysus. These two have really mastered the "casually looking at a folder while killing it with the line reads" brand of acting. Jimmy: "What do we do now?" Boyd: "Take a few moments to contemplate the mortal remains of Henry Willis and to thank him for being more useful in death than he ever was in life." Jimmy: "You knew this guy?" Boyd: "Ironically I did. He started drinking at ten got hooked on oxi by the time he was fifteen and that was all she wrote. But we all end up where he is sooner or later." Why? Because I'm both a fan of LA Story and an incurable, pretentious English major. The Gist: I think I've already hammered home what I think this episode (and this season) was all about. The writers wanted to show us the central twin stories of the Harlan melodrama. And they did. For all the fool-headed preachers and duplicitous bartenders and cold cases, the story that played out was the tragic failure of these two men. Raylan's not the hero and Boyd's not the villain. They both started out this season full of hope. Squirreling away money for a golden future. And where did they end? Buried in the past. Haunted by what they've lost. Joanna Robinson will miss the whole Harlan crew. Big ups, as usual, to Chet Manley and his fantastic gif work.